The SERIOR project (Security, Risk, Orientation) focuses on the creation of the Upper Rhine Trinational Graduate Academy SERIOR which will be marked by its intercultural, interdisciplinary and practical relationship. 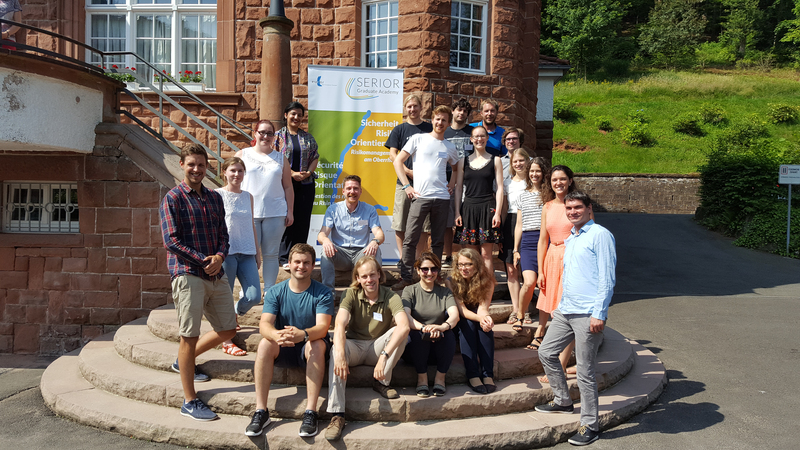 With its Safety, Risk and Orientation thematic clusters, the Graduate Academy will offer a new training and follow-up programme for young researchers in the Upper Rhine (i.e. doctoral candidates and post-doctoral researcher) dedicated to risk management. For the establishment of the Graduate Academy by the end of 2018 new instruments will be developed, tested and applied – among them two summer schools, a conference series, six knowledge and technology transfer events, three textbooks on Risk Perception (Security Centre), Risk Assessment (Risk Centre) and Risk Communication as well as databases of literature, projects and contacts.